No 1 National Primer On is a water-based wall sealer formulated to provide maximum protection against alkali and moisture,enhancing the performance of top coat.It is a breathable primer that stops water from entering the surface,but allows water vapour out. It has good inter coat adhesion.This interior primer is recommended for use on iterior plastered walls, ceilings, concrete, brickwork and wall boards, etc. New, bare, old or previously painted surfaces must be clean, dry and free from dust or wax. Clean the surface by rubbing down with abrasive paper. Brush down previously painted surface completely and make the surface smooth. For large holes and cracks, use plaster of paris or White cement. Allow to dry. 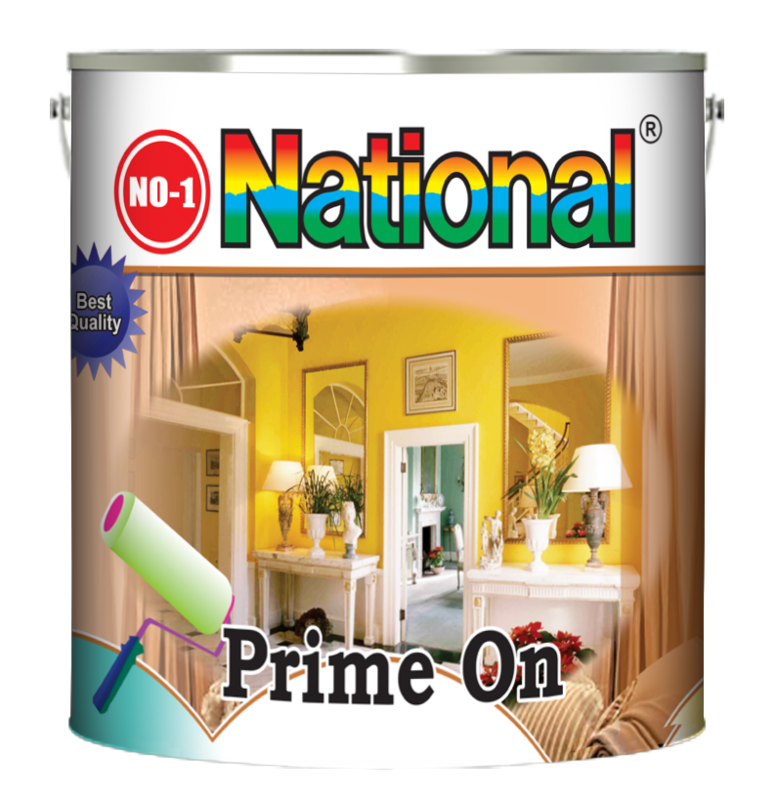 Apply No 1 National interior primer in order to seal the surface from water and salts. Allow surface to dry completely. Stir the paint thoroughly before use.